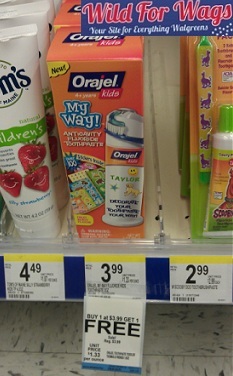 Orajel Kids My Way Toothpaste only $0.99! Check out this great deal you can get on Orajel Kids My Way Toothpaste at Walgreens! This deal is good for the rest of the month!